Riffing on the air of Americana that runs through both their menswear and womenswear collections for AW17, HUGO have just dropped a single dedicated campaign, set in a sun-soaked Californian fairground and surrounding countryside. Inspired by iconic director David Lynch’s Twin Peaks, Wild at Heart, and his often overlooked debut album Crazy Clown Time, the brand has gathered together a troupe of it’s own. A gathering of both famous and lesser-known faces, from the worlds of modelling, acting and music, all kited out in head-to-toe HUGO. 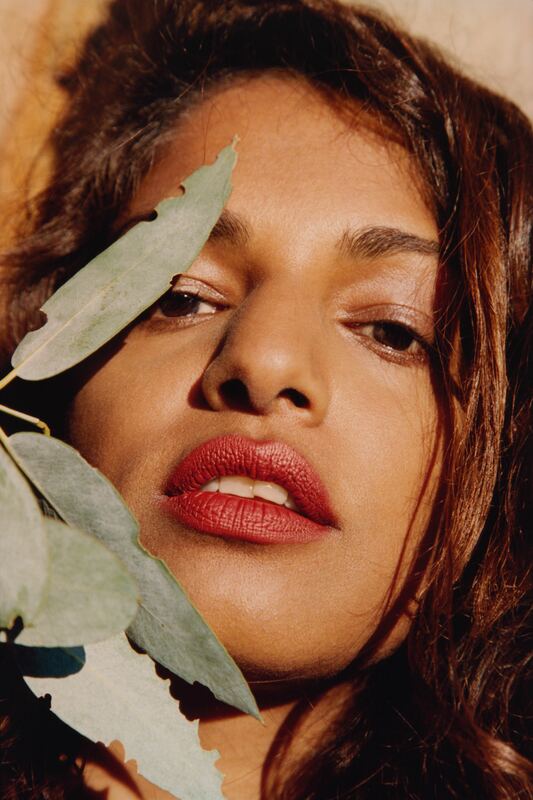 Whilst the likes of Paul Hameline, Tony Ward and Jamie Bochert all make star turns in the series, for CLASH, the immediate show stealer is one time cover star M.I.A. Returning to HUGO after her exclusive performance at the brands S/S 18 show in June, Ms. Arulpragasam is a commanding figure in sharply tailored striped suiting, outerwear that’s off-set with a flurry of bows, and an attention-grabbing metallic pink number.